For those times when you feel a little delicate, some bright sparks - Johnny and Angus - have come up with a way to tell fellow commuters to treat you carefully. 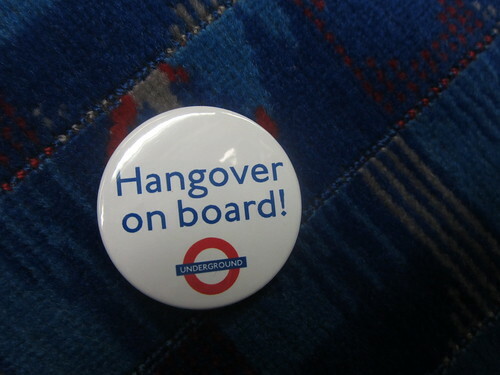 They've released some free "Hangover on Board" badges for London Underground travellers. I'm pretty certain they won't guarantee you a seat (not that the TfL's official Baby on Board badges actually do this either), but you never know they might stop those eternal optimistics who tell you to "cheer up, it might never happen". Rather than saying "it already has", you can scowl at them and point at your badge. If there are people who are playing their iPods too loudly, you might also be able to glare at them and point at your badge. 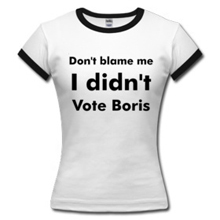 Be warned that the "Hangover on Board" site is not actually to be looked at when you have a hangover, as there's some flashing moquette backgrounds on it which will make you want to click the button to get your free badge pretty sharpish. Baby on Board Badges - How big should they be?